Region Västra Götaland is the county council governing the territory Västra Götaland in Sweden. Their mission is to ensure that the population in Västra Götaland has access to medical care, as well as to develop and administer culture, public transport, growth and sustainable development. 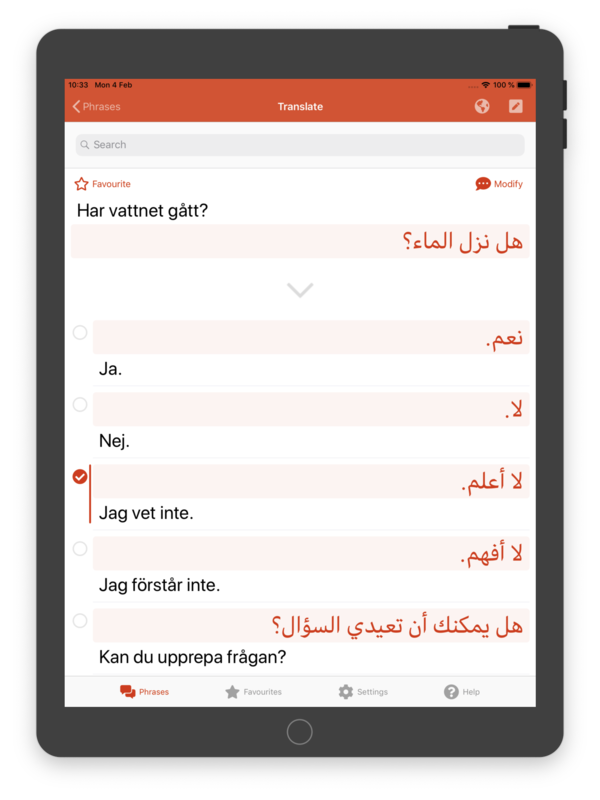 We have worked together with the Women’s Clinic (Kvinnokliniken) at Södra Älvsborgs sjukhus Borås, to develop a translation app for use within the area of obstetrics. Altran is a global leader in Engineering and R&D (ER&D) services. Our work with Altran UK’s research team involves building a translator from formal specifications to natural language. Textual builds text robots for e-commerce, covering product descriptions, category pages and personalised marketing. We have worked together with them on extending their technologies to Bulgarian, Chinese, Danish, Dutch, Finnish, German, Italian, Norwegian, Polish, Portugese, Russian, and Spanish. 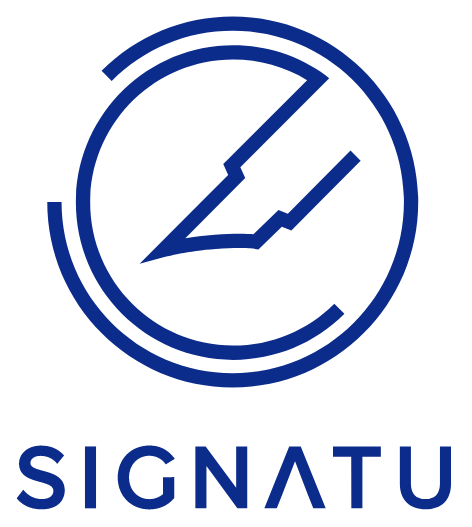 Signatu makes software services to support digital businesses create value from personal data in a legal, transparent and secure manner. Together with them, we have built a multilingual grammar and lexicon enabling the analysis and translation of all legal concepts found in the GDPR (General Data Protection Regulation, the new EU legislation) for English, French, German, Italian, Spanish. 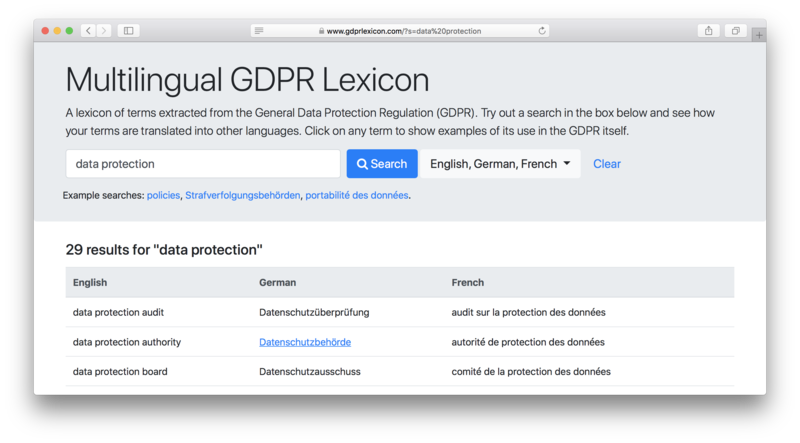 Below is a screenshot of one of our largest GF projects so far, the GDPR lexicon. More information can be found on the online demo page at https://gdprlexicon.com/. 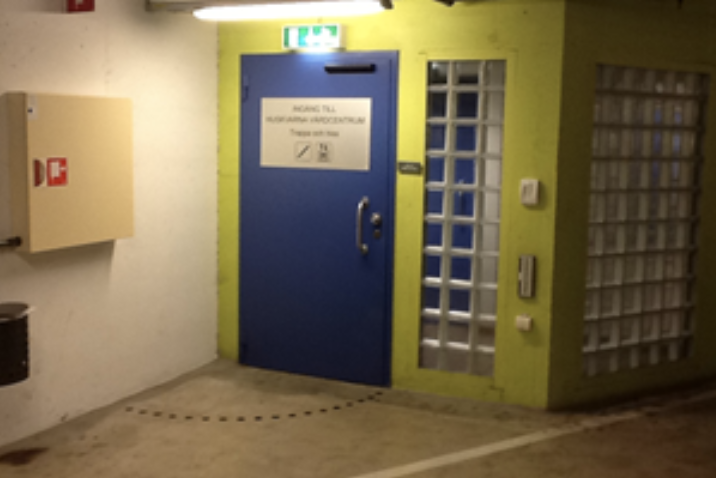 SU Ambulans is in charge of ambulance services at the Sahlgrenska University Hospital in Gothenburg. 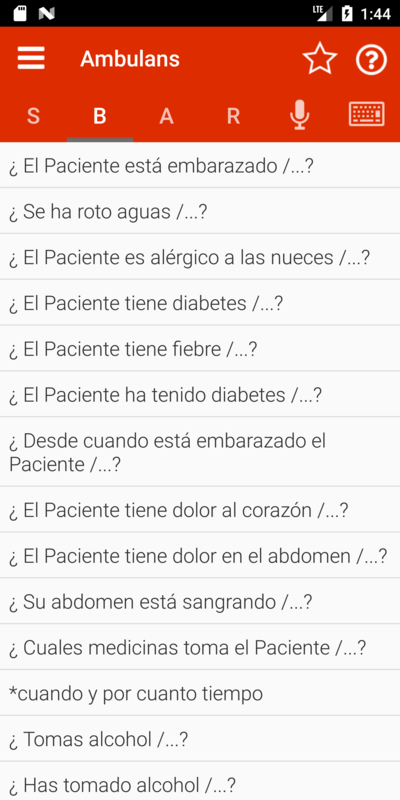 Ambulanstolken is a mobile translation app that allows health care staff to communicate with patients with whom they don’t have a common language. 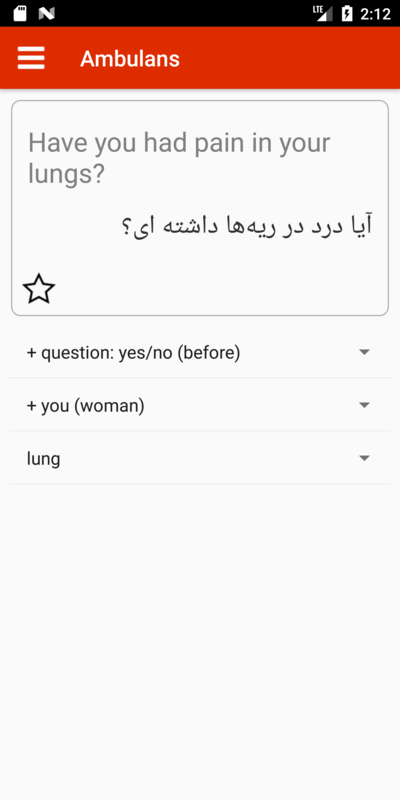 The app is based on the SBAR question-answer protocol (Situation, Background, Actual information, Recommendation). 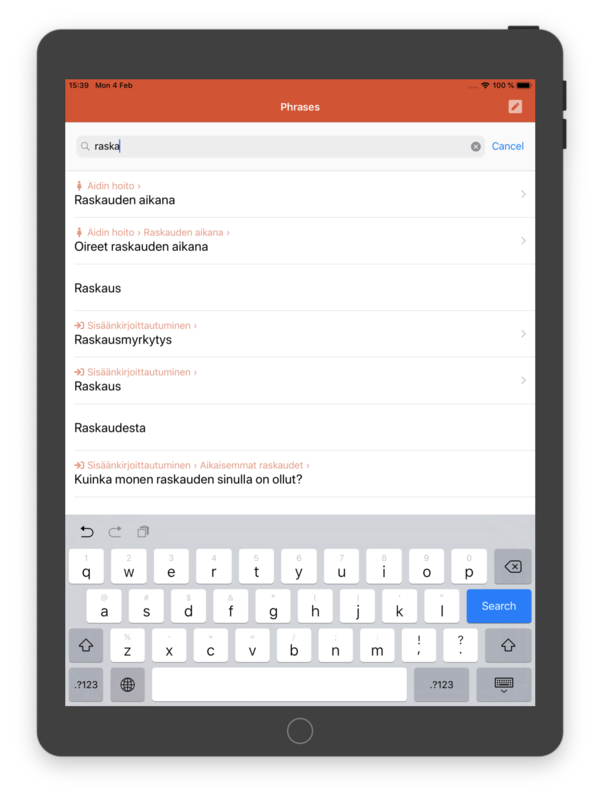 It enables both text and speech translation. The project is carried out in cooperation with Sahlgrenska Ambulans in Gothenburg, Medtech West, and PreHospen at the University of Borås, covering English, Finnish, French, Persian, Romanian, Spanish, Swedish. 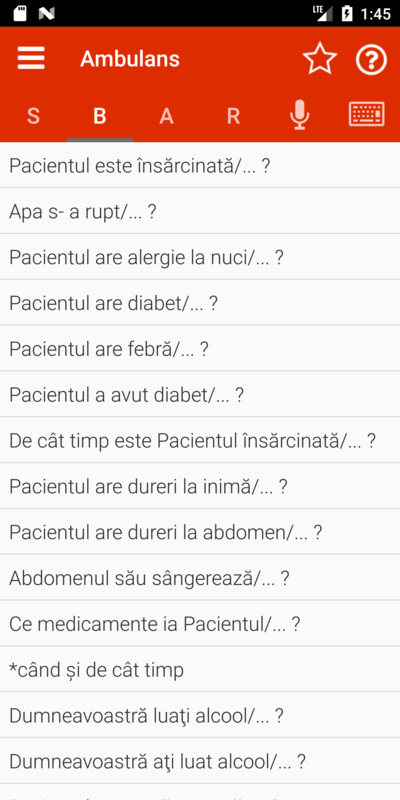 Below are some screenshots of our mobile translation app for health care staff, helping them to communicate with patients across language boundaries. Lex Cogitans provides automated reasoning tools for lawyers. They leverage recent advances in computational techniques in the fields of logic programming, natural language processing and knowledge engineering. Digital Grammars has built an analysis and reasoning tool for legal documents written in English. Tillgänglighets​databasen (Accessibility Database) is a web service that gives information related to accessibility to buildings and services. TD is a unit of the Västra Götaland regional government in Sweden. Digital Grammars has built a second generation of translations for TD, which are used in the TD web page. The translations address Finnish, German, and Spanish. Svängrumsytan utanför dörren lutar 1% i sidled. The turning space outside the gate tilts 1% sideways. Kääntymätila oven ulkopuolella kallistuu 1% sivusuunnassa. Der Schwenkbereich außerhalb der Tür neigt sich um 1% seitlich. La zona de giro fuera de la puerta inclina 1% de lado. Talkamatic is a company addressing voice communication in mobile, web, and automotive applications. 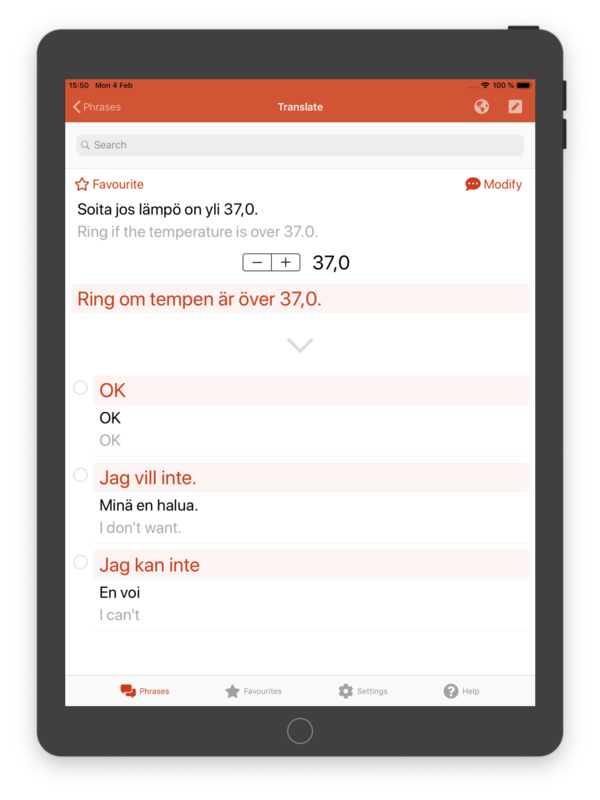 Digital Grammars has made the Talkamatic Dialogue Management multilingual by extending it from English and Swedish to Chinese, Dutch, Finnish, French, German, Italian, and Spanish. DART is a team of assistive technology experts under the Department of Neurology, Psychiatry and Habilitation of Sahlgrenska University Hospital, Gothenburg, Sweden. Digital Grammars worked for DART within the InLife project (INdependent LIving support Functions for the Elderly). 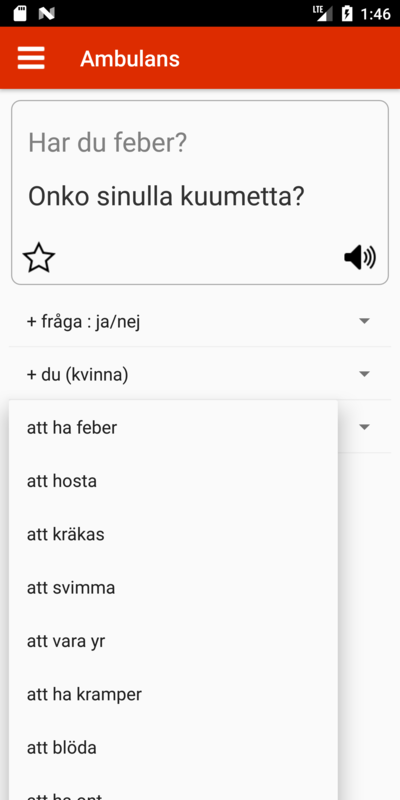 Starting from a list of 2000 words and phrases, we have developed a translator and natural language generator for English, Finnish, German, Slovenian, and Swedish. Surface mail: Digital Grammars, Stena Center 1D, 41292 Göteborg, Sweden. Digital Grammars is a member of the Chalmers Ventures Accelerator program.